Turkey is one of my favorite meats. It’s high in tryptophan, is an amino acid that helps your body create serotonin. Healthy levels of serotonin are important for keeping anxiety at bay. I struggle with anxiety, so we eat a lot of turkey in this household! Of course, all meats should be eaten in moderation, because they are hard to digest. Instead of eating 8 ounces of meat with your dinner try eating 3 ounces. By the way, if you’re worried about finding hazelnut flour, you can either buy it on Amazon, or I actually found it at Sprouts! Otherwise almond flour is fine. Here’s the link for hazelnut flour. 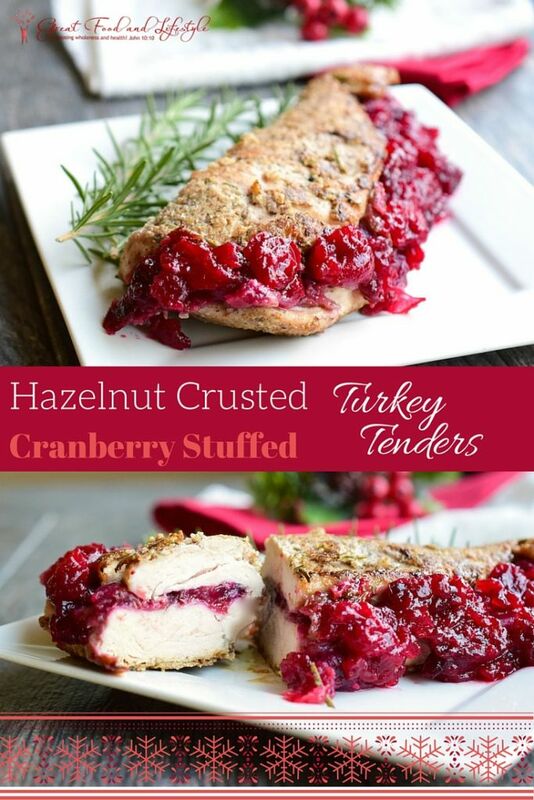 Before we get to the recipe for the Hazelnut Crusted Cranberry Stuffed Turkey Tenders I want to invite you to join with others who are making healthy changes, if you haven’t done so already. I’d love to walk alongside you in your journey towards wholeness and health! Jesus said, “I have come that they may have life, and have it to the full!” Freedom from food addictions is part of having a truly full life. 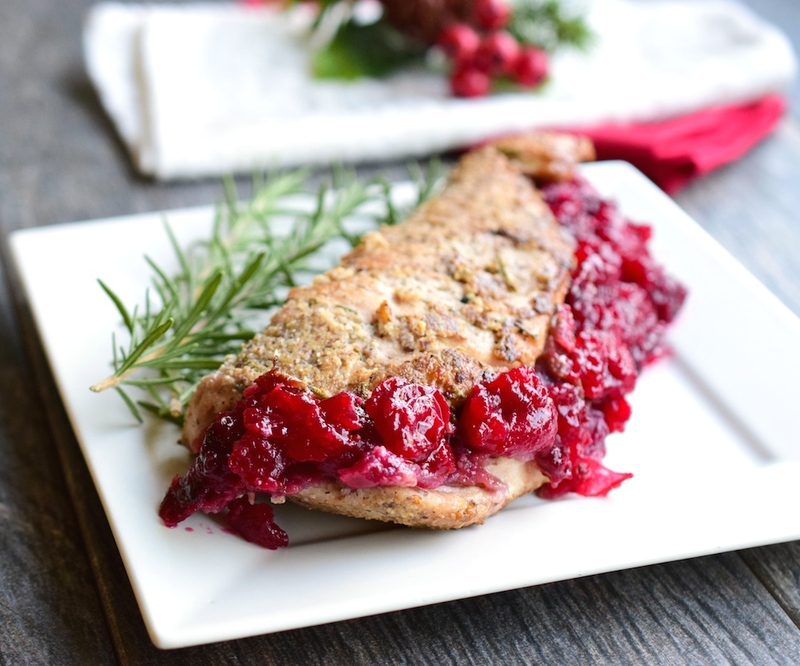 Prepare the cranberry sauce first and set it aside. Click on the link above for my recipe. Preheat the oven to 375 and grease a large cast iron skillet with coconut oil. Set up two wide bowls or small baking dishes. Whisk the egg with water and pour it into one of the bowls. In the other bowl stir together the hazelnut flour, potato starch, and half teaspoon of sea salt. Place one of the turkey tenders in a large sealable plastic bag. Squeeze the air out and seal the bag. Pound the turkey until it is about 1/2 inch thick. Take the turkey out of the bag and sprinkle it with sea salt, pepper, and rosemary on both sides. 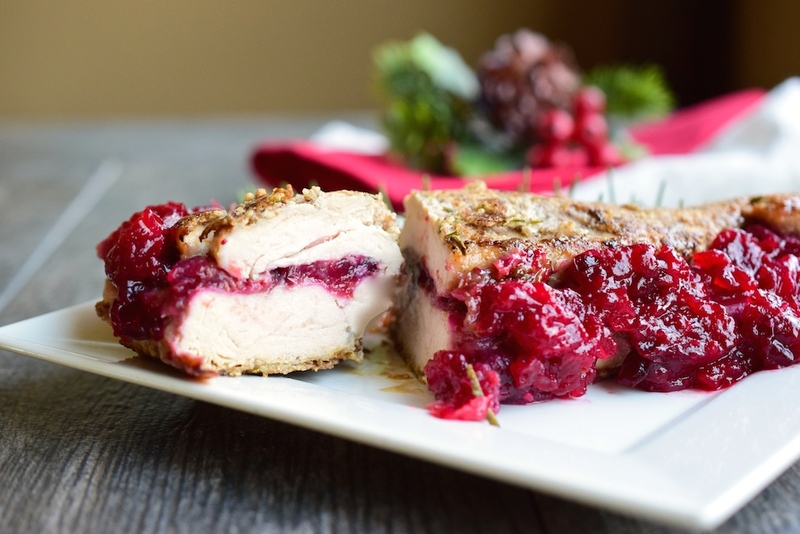 Spread about half a cup of cranberry sauce onto one side of the turkey, then fold it or roll it over, so the cranberry sauce is on the inside. Repeat with the other turkey tender. Heat your skillet over medium heat while you do the next step. Use a brush to wipe egg wash all over the outside of the turkey tenders. Then use your fingers to press the hazelnut mixture all over them, as well. Carefully place the tenders into your hot pan. Cook them on each side, until they turn a nice golden brown. When both sides of the turkey tenders are done, move the pan into your oven to complete the cooking. Continue to bake for another 20 minutes, or until the turkey is completely cooked through. Slice and enjoy warm!